The Secret of voluminous hair may not be in the product you use, but in how you use them. The health and vitality of your scalp is the foundation of your hair’s growth. Exfoliating and massaging the scalp helps boost blood flow, which stimulates hair follicles to produce thicker , more lustrous hair, reduces dandruff and promotes overall hair growth. Why Scalp Treatment Is Essential ? It increases blood circulation to your scalp to speed up hair growth. Tea tree and Rosemary oils are a great addition as they stimulate hair growth. Here are two homemade remedies for Scalp Treatment. 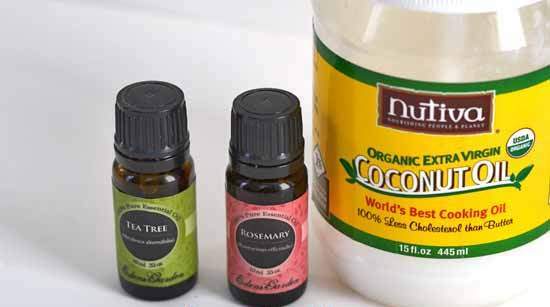 Grab about 4 tablespoon of coconut oil, mix with 3-4 drops of rosemary oil and 3-4 drops of Tea Tree oil. Tea Tree essential oil and Rosemary oil work effectively in treating dry, flaky scalps and they help in stimulating the hair follicle to encourage hair growth. However, be mindful in adding the amount as too much Tea tree oil can cause skin irritation. Mix 4 tablespoon coconut oil with 1 tablespoon of Grapefruit juice and 2 tablespoon of Lemon juice. 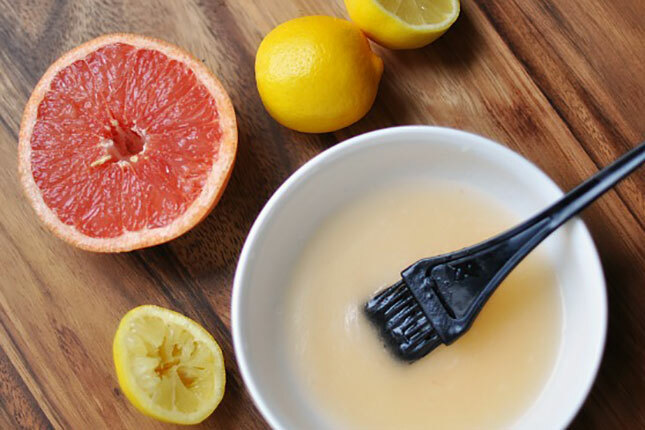 Grapefruit contains essentials which help in hair growth and thicker hair strands. Start by dividing you hair into 4 sections. Part your hair horizontally and place the brush on the scalp. Rotate it across the scalp while pressing down and pull off in the end. Repeat across the entire scalp, parting the hair in tiny sections. Next, follow the same section and apply the mixture. Gently rub the coconut oil down the entire hair. Rub/massage with your fingertips in a circular motion all over the scalp. Put the plastic hair cap and leave the treatment on for 20-30 minutes. Rinse it off with your regular shampoo and conditioner. Next → Next post: Tips To Get Rid Of BLACKHEADS In Just One Night!!!!!!!!!!!!!! !